This tour is limited to 10 Pax and will be conducted in English. Two ASPIRE55 Staff will accompany the group. 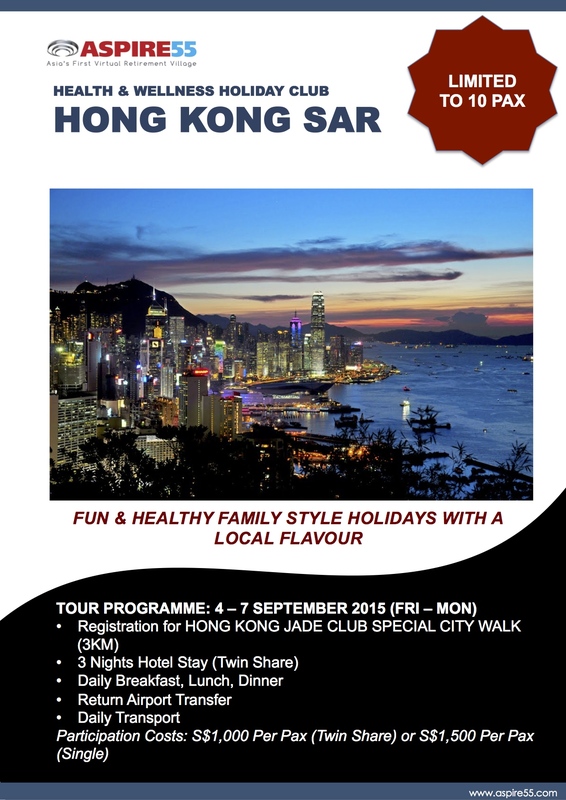 We will be participating in a special walk in Hong Kong City with our Hong Kong Friends. Walk is 3km and we will participate as TEAM ASPIRE55 in Hong Kong.